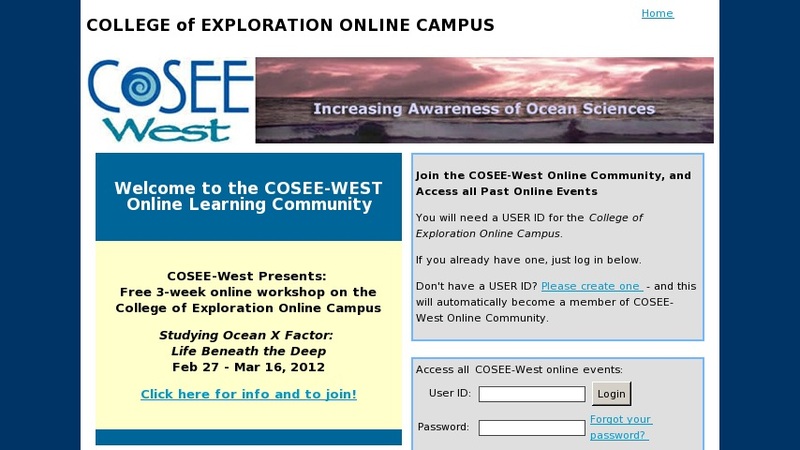 This site features online professional development courses offered by the COSEE (Center for Ocean Sciences Education Excellence) West and College of Exploration. The site features workshop information, as well as access to online presentations and the College of Exploration's virtual campus. Registration is required to access the education information, but is free of charge.